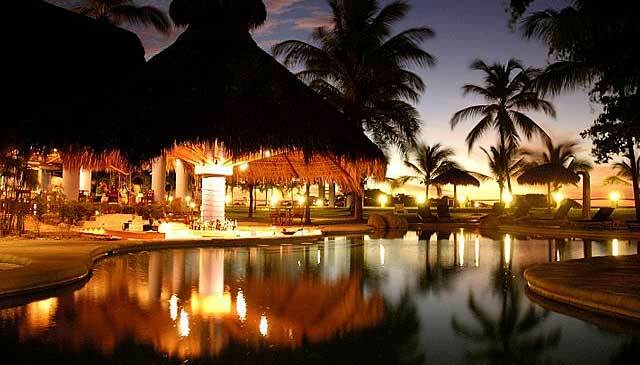 A lovely hotel with a laid-back atmosphere, just a few steps from the beach and ocean, with tropical gardens, an outdoor pool, spa, and rooms for families and couples. 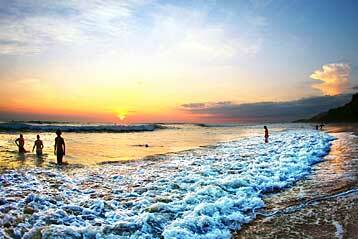 Bahia del Sol is open from 1st November to 30th September annually. 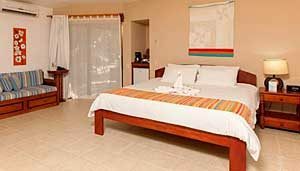 Staying at Bahia del Sol you are just a few steps away from sunny Potrero Beach and the warm ocean waters, making this an ideal place to rest and recharge your batteries. With facilities including a large outdoor pool, sunbathing deck, spa, Jacuzzi and gardens full of flowers and palm trees you may not want to stray beyond the hotel grounds, but should you wish there are plenty of land and water-based activities including rainforest trips, horse riding, snorkelling, surfing and sailing. 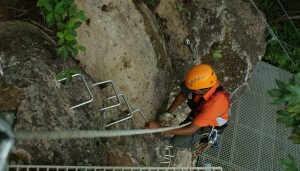 Rooms are equipped with air conditioning, minibar, Wi-Fi, en-suite bathroom and private terrace for secluded relaxation. 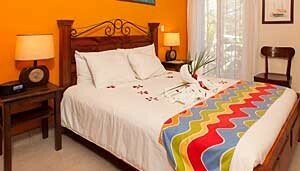 Why Go to Bahia de Sol beach front boutique hotel? Whether you’re feeling in need of some r and r, or have energy to spare, you’ll find Bahia del Sol fits the bill. 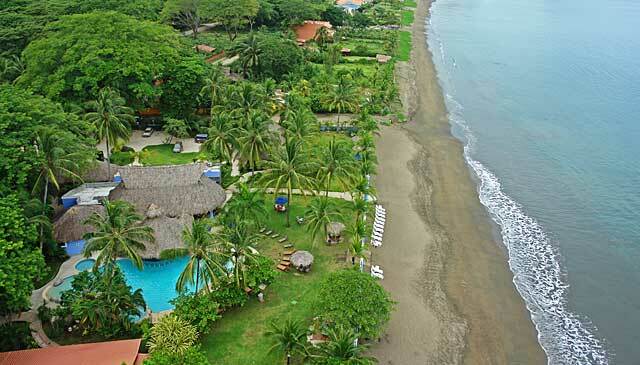 Located on one of Costa Rica’s sunniest beaches, this is a great spot to unwind, sunbathe, swim and listen to the waves on the shore. Those craving activity will find plenty of water and land-based options to choose from. Surfing, paddle-boarding, snorkelling, diving and cruising vie with horse riding, trips to national parks, exciting canopy tours, visits to thermal springs to fill your days. 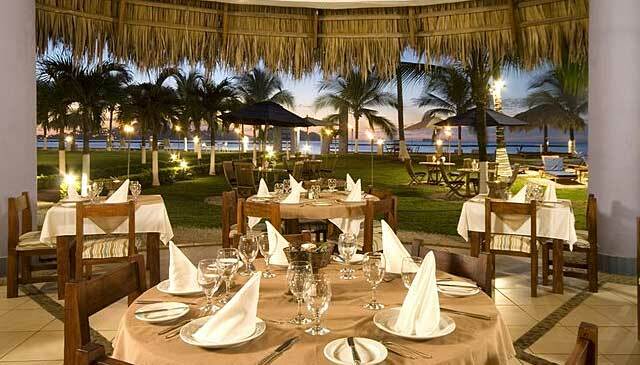 However you spend your time you’ll relish the flavourful food served in the open air restaurant overlooking the beach. 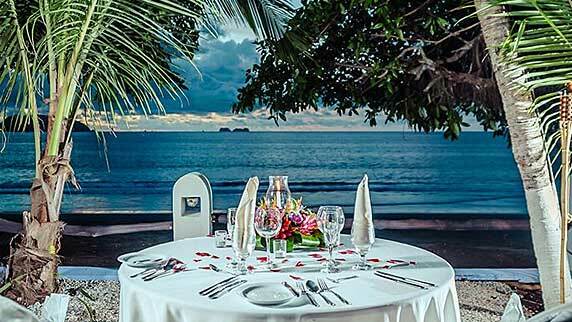 Walking in the hotel’s gardens you are likely to come across a range of birds, howler monkeys and may find yourself stepping over iguanas, and the ocean waters shelter dolphins, rays and, in season, whales. A little further afield you can visit the tropical dry forest of Rincon de la Vieja National Park, which only occurs in this area. 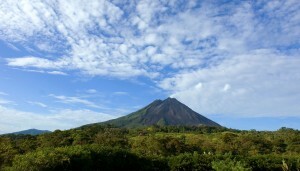 Hiking here you can observe wildlife including white-faced monkeys, howler monkeys, coatis, agoutis and exotic birds such as toucan, trogon and curassow. Children of all ages are welcome. There is a children’s menu. Green Season: 1st May to 30th June – 1st September to 23rd December. Peak season: 29th March to 27th March – 24th December to 3rd January 2017. 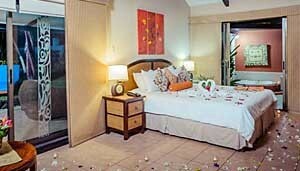 There are 10 standard rooms, 3 deluxe rooms, 4 suites, 10 family suites and 1 honeymoon suite. Standard: 2 twin beds, air conditioning, TV, phone, Wi-Fi, coffee maker, minibar, alarm clock, iPod dock, safe, hairdryer, desk, en-suite bathroom, terrace and hammocks. Maximum occupancy 4 adults. 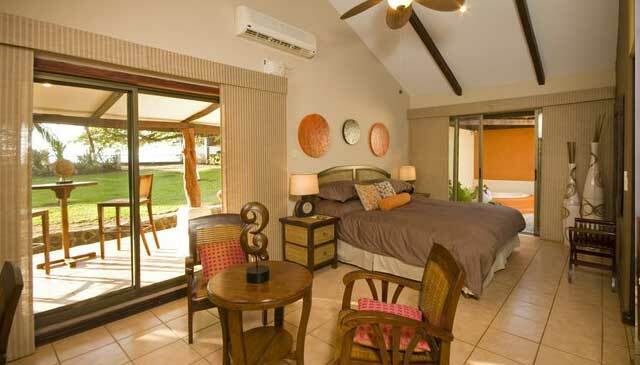 Family suite: 2 en-suite bedrooms one with a queen size bed and one with 2 twin rooms. Facilities the same as the suites. Maximum occupancy 5 adults. Deluxe: As the standard rooms but with the addition of a private garden with Jacuzzi One of the suites has the Jacuzzi in the bathroom. Suite: 1 queen size bed, air conditioning and ceiling fan, lounge-dining room, breakfast bar, kitchen, TV, phone, Wi-Fi, alarm clock, coffee maker, iPod dock, safe, hairdyer, spacious bathroom, terrace. Maximum occupancy 3 adults. Honeymoon Suite: Located by the beach with a king size bed and open plan living room, air conditioning and fans, Wi-Fi, TV, coffee maker, minibar, safe, hairdryer, large bathroom opening on to the rear patio with an outdoor shower. front terrace with Jacuzzi and tropical plants.